I used to write about things other than style and beauty a lot more on the blog years ago and I wanted to try to get back into sharing some of my other interests because over the past almost seven years this has always been a space where I wrote about the things I love and that includes so much more than just style and makeup. That's not to dismiss writing about those things, because I absolutely adore it, any of my fellow fashion and beauty bloggers know that it's not the seemingly frivolous endeavour that some people can label it as being. It takes so much effort and time, money, patience, many different skills, creativity and above all passion. There has been a lot of controversy about blogging and in turn Youtubers, content creators and "influencers" in the past year or so but particularly the past couple of weeks here in Ireland. I don't want to get into the details too much but I did want to share my thoughts as blogging is something that has been a huge part of my life for almost seven years now. I have met (or interacted with on social media) some of the most amazing, inspiring, passionate and creative people through blogging. The simple fact of the matter is that yes, there will always be people who are looking to make a quick euro and are perhaps disingenuous with their followers, but all you have to do is unfollow them, don't watch their videos or snapchat or read their blog. Why on earth would anyone spend their precious time on someone who they don't like or can't relate to? I make it my business to only follow people whose content I enjoy. I have a full time job and blogging is a hobby for me as it is with most of the other women I follow. I chose to spend the free time I have writing about the things that I love. It doesn't interest me to write about things I don't like and that's a personal decision that every other blogger is entitled to make for themselves. I barely have enough time to write about everything I like let alone the things I don't like. I know a lot of my fellow bloggers feel the same way and if someone sees that as being fake well then so be it. I'm always open and honest about the products that I write about and I wouldn't feel comfortable mentioning something I haven't properly tried myself. I'm planning on writing a post with suggestions of bloggers who I love and believe are passionate and genuine, so if you're looking for some new people to follow, watch this space. That's all I really wanted to say, so let's get on with it or this post is going to need two parts! I watch a LOT of television and movies and I loved sharing some of my favourite films here over the years with the series I did with stills from my favourite films. I wrote about Lost in Translation, Wizard of Oz, Rear Window, Gattaca and Labyrinth and I loved creating those posts even though they took a lot of time, it was fun to revisit some of my favourite films and share my thoughts on them with you all. I thought I would try a monthly series in which I share some of the things I've been loving recently that aren't necessarily beauty or fashion related. I've really been enjoying Olivia's Sunday Duvet Reading series and I wanted to do something similar wherein I write about some of the things I've been watching, reading and listening to over the past while as I'm always on the lookout for suggestions myself, I hope that some of you will find this helpful. Let's begin with movies. I've been to the cinema few times over the past month and I've seen three amazing films. Firstly was a much anticipated film for myself and my sister and I'm sure anyone who grew up on nineties Disney films, Beauty and the Beast. I had high hopes for it, mostly because they used the original music and songs from the Disney film and I love all of the actors involved. Nothing will ever live up to the animated version for me, I have such vivid memories of watching it, I know the entire film by heart, there was just no way this live action version could come close. However I'm happy to say I really enjoyed it. I thought the casting was spot on. Nobody could outdo Angela Lansbury as Mrs Potts but Emma Thompson is the next best thing. I love that they gave more of a back story, the only thing that I didn't like is the extra songs. I didn't hate them but I felt that they didn't really add anything to the film. The original songs are so iconic that the new additions were a bit lost. The most surprising thing was how funny it was, I wasn't expecting that at all but casting Josh Gad as LaFou was perfect, he was such amazing comic relief. 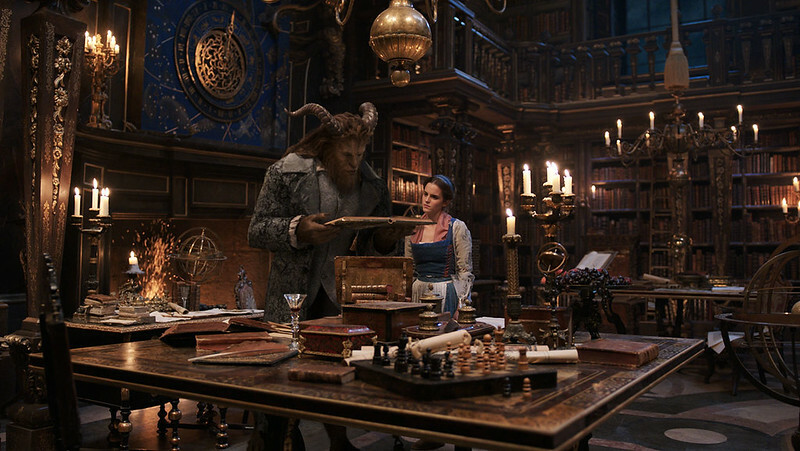 In short, if you didn't like the animated Beauty and the Beast you probably won't like this. Another film I saw recently that I was so excited to for was Get Out. I hadn't read too much about the plot because I wanted to be surprised (I actually hate trailers nowadays because they tend to give so much of the film away). All I really knew was that it's written and directed by Jordan Peele who I'm a huge fan of (and his wife Chelsea Peretti is one of the funniest people ever) so I was looking forward to his directorial debut. I don't want to write too much because if you haven't heard much about it, I'd try to keep it that way, the less you know the better. All I'll say is that it was incredibly original, hilarious, tense and unnerving. The most recent film I've seen in the cinema was Free Fire, directed by Ben Wheatley who I've been a fan of for years, so I was very excited to see his latest film. If you've seen any of his other films like Kill List, A Field in England or High-Rise you'll know he is such an original filmmaker. 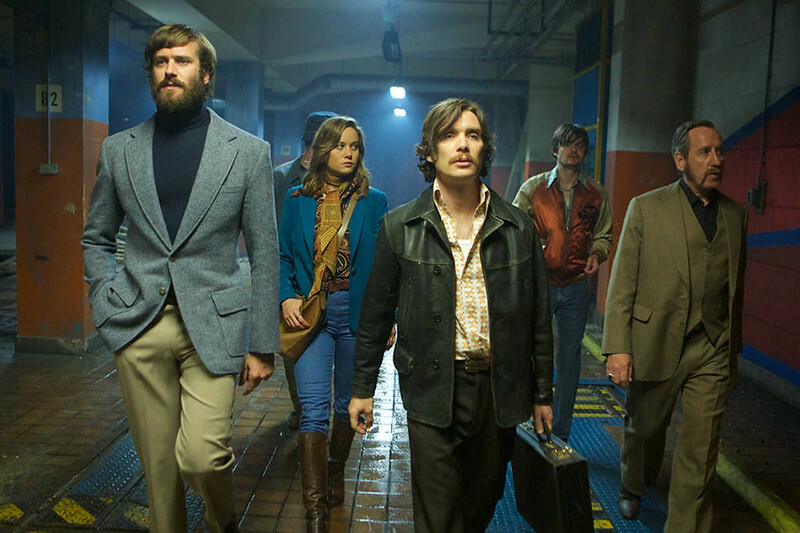 His films aren't exactly mainstream, but I'd say Free Fire is the most commercial that I've seen yet. The cast is perfectly assembled with Cillian Murphy, Brie Larson, Armie Hammer, Sharlto Copley and Michael Smiley to name a few. It's a mixture of violence and dark humour along the lines of Reservoir Dogs. My boyfriend and I didn't stop laughing the whole way through. I can't recommend this highly enough! I've been watching my usual TV shows like Walking Dead, It's Always Sunny in Philadelphia, Girls (I've been loving this last season), The Mindy Project and Catastrophe (another amazing original comedy that's just finished its third season and gets better and better, the writing and performances are unbelievable). 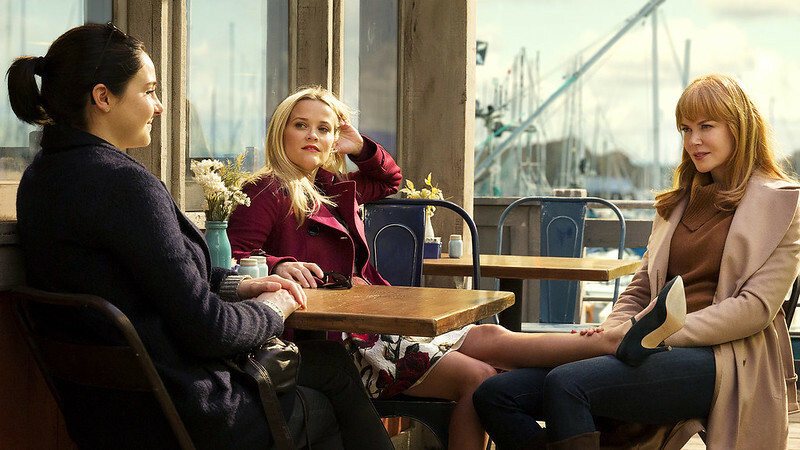 If you're looking for an excellent television drama, I loved Big Little Lies. It's a mini series on HBO based on a novel that has a cast full of some of my favourite actors including Nicole Kidman, Reese Witherspoon, Laura Dern, Adam Scott, Zoe Kravitz and Alexander Skarsgård. It's set in Monterey, California and the characters are all intertwined in eachother's lives with lots of secrets as you can imagine from the title. It's just such a high quality piece of television and the soundtrack is stellar too. It's not much of an investment at only seven episodes but the characters are so well developed it will leave you wanting more. It made me remember what incredible actresses Nicole Kidman and Reese Witherspoon are, Shailene Woodley was amazing too! One thing I want to do more is listen to podcasts. I used listen to them a lot more often and I loved it. 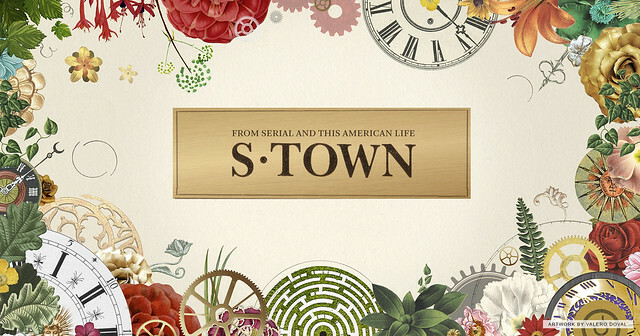 I'm sure most of you have heard of, if not listened to Serial or This American Life, the producers of which have a new podcast called S Town. I finished S Town in two days, I just couldn't stop listening to it. Again, I don't want to give to much away but it begins with a man from a small town in Alabama writing to one of the producers asking him to investigate a murder he believes happened in his town, what follows is the most incredible story that will have you listening to the episodes back to back to find out what happens next. Finally I have some music suggestions all of which are albums that some of my favourite bands have released recently. 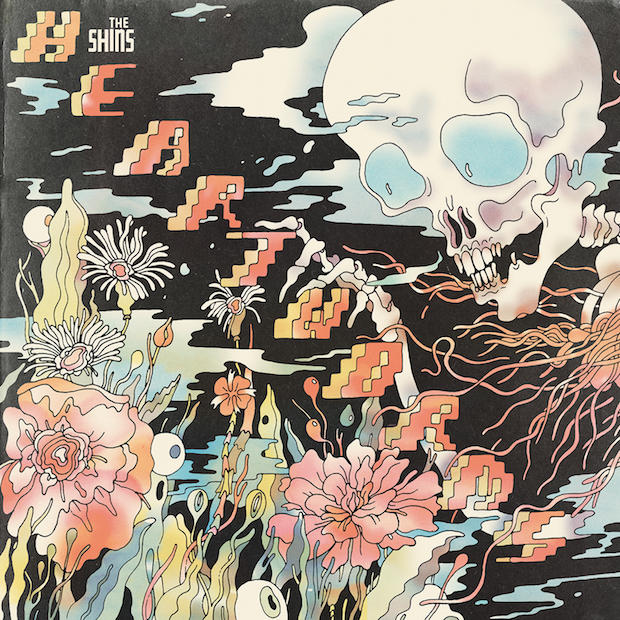 The Shins released their fifth album Heartworms a couple of months ago and I've been loving it. I was completely obsessed with them after first hearing them back in 2004. I've only seem them play live once and I'm hoping they're going to play here during their Summer tour. I say they, it's mostly James Mercer as all the other original members of the band are no longer playing in the band. This album, much like the other two is definitely a bit of a grower for me. My favourite song so far is Fantasy Island. 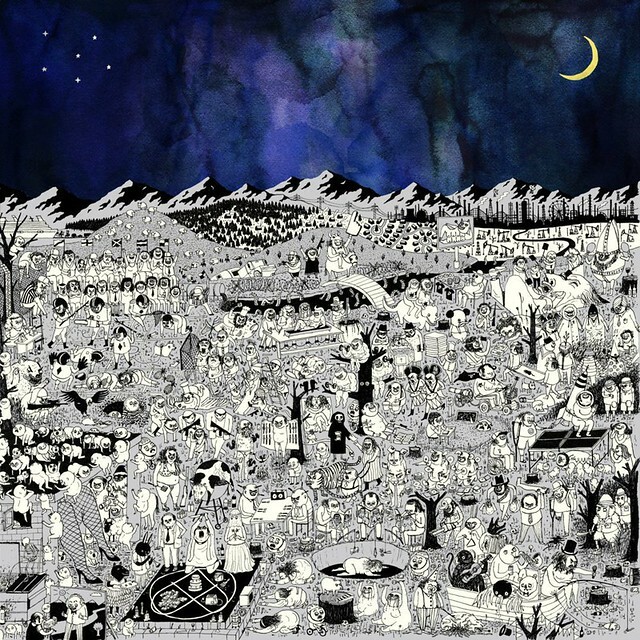 Next up is the highly anticipated third album from Father John Misty, Pure Comedy. This took a few listens to 100% fall in love. I'd honestly listen to him sing the phone book but I'm really excited that he's done something very different compared to his first to albums and I feel like with every listen I'm getting so much more from it. The standout song for me is A Bigger Paper Bag which I am obsessed with. 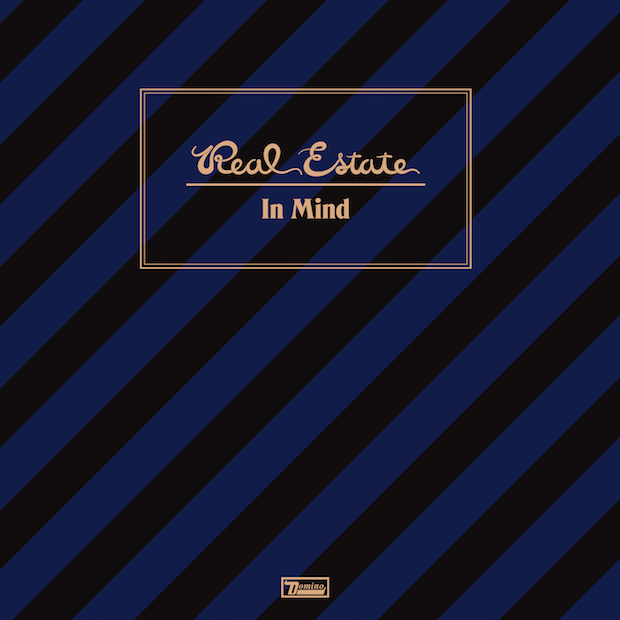 The new album from Real Estate, In Mind, is the first without founding guitarist Matt Mondanile who has since gone on to form Ducktails (who I also love). Admittedly I haven't listened to this as much as the other two albums I've mentioned above but I've been loving this so far none the less. Similarly to the Shins, the change in lineup has had an influence on the band's sound. The standout song for me so far is Two Arrows. I hope you enjoyed my suggestions, please let me know if there's any films/music/TV you think I'd enjoy based on what I've shared here and let me know if you've seen or listened to any of the above and what you think. I hope you're all having a lovely Easter Sunday!